Glittering, glamorous and effortlessly chic! Charming and alluring, this stunning Corsica island is adored by both sailors and hikers alike, who are drawn here by the unparalleled natural beauty. Corsica is an excellent destination for yacht charters and with deep secluded bays, golden sands and miles upon miles of spectacular coastline; there is no better way to explore the hidden jewels of this remarkable island, than from your superyacht.The beautiful French Island of Corsica is located west of Italy, southeast of the French mainland, and north of the Italian island of Sardinia. 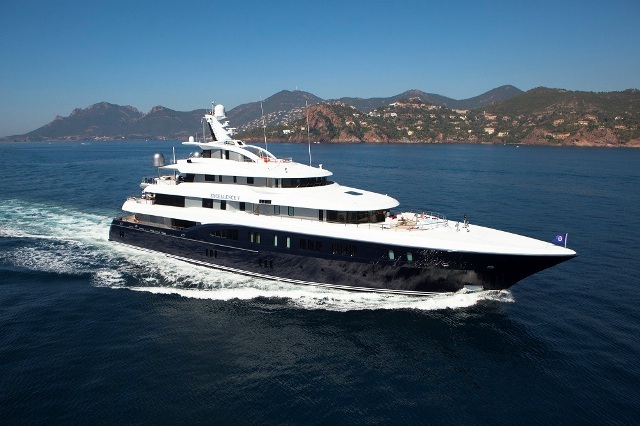 You can therefore visit Corsica on a luxury charter yacht from France or from Italy. The sun shines for an average of 300 days per year, concentrated from April to September, making the Mediterranean summer, the perfect time for a yacht charter in Corsica. Bonifacio sits like a masterpiece in the extreme south of Corsica and is a unique place of interest. No one can resist the fascination of this old town which is dazzlingly sits perched atop a cliff, nor the appeal of its old alleys which climb up toward the sky. 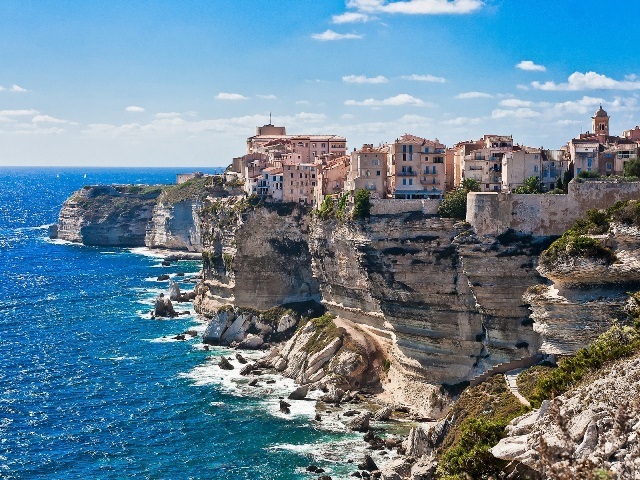 Bonifacio is a town of immense charm and a wonderful place to explore. 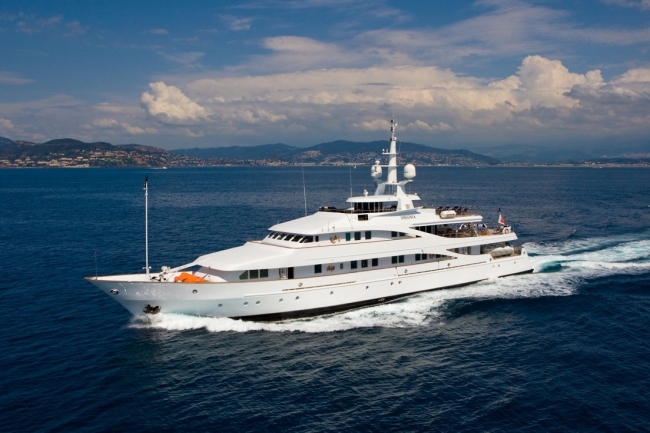 Set on a hillock overlooking a beautiful deep blue bay, Porto Vecchio superb harbor gives access to the hundreds of luxury yachts and superyachts that choose to visit Corsica each summer. Enjoy the day taking in the fabulous scenery or visiting one of the area’s many stunning beaches. From Porto-Vecchio, discover the beautiful white beach of Palombaggia, shaded by a parasol of pine trees where water takes on deep shades of blues and greens. For beach lovers, the Gulf of Valinco is an unmissable highlight boasting some of the most beautiful beaches and bays in addition to the vast arcs of sugar white sands which can be found Portigliolo. Cruise from one beach to the next with Palombaggia, Santa Giulia and Rondinara each offering breathtaking stretches of golden sands. Venture along the turquoise waters of Campomoro before taking to the charming and wonderful community of Bonifacio on Corsica’s southern tip. With the old town teetering atop a cliff and untamed rustic shorelines, Bonifacio offers one of the most unforgettable harbor entrances. Anchor in glittering bays, sail between quaint fishing villages or trek to the mountain pass at Col de Bavella and admire the awe-inspiring scenery of the Alta Rocca peaks. With easy access from the water and numerous treks varying in difficulty, ramble at your own pace before stopping to picnic among the spectacular views of crystal clear waters below. For those looking to take their love for adventure to the water, Corsica offers some of the best spots for diving and snorkeling where you can admire sea sponges, anemones and corals plus a whole party of other marine life. Our services are sure to delight ! 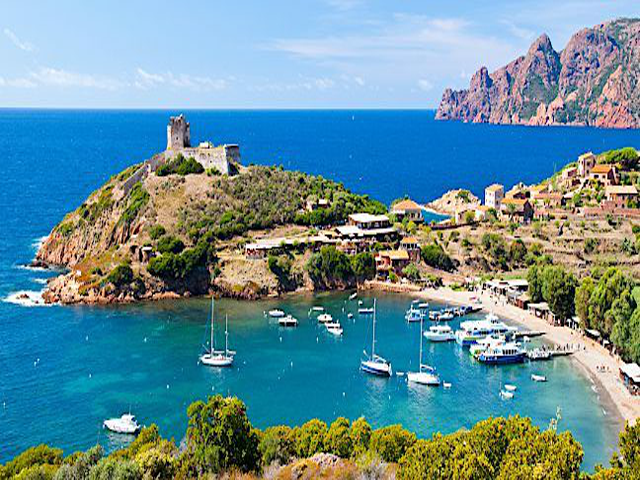 Sardinia, this remarkable Italian gem is the second largest island in the Mediterranean and lays surrounded by clear turquoise waters, white sandy beaches and some of the prettiest anchorages. Cruise along the rippling waters and explore the assortment secluded coves which are strewn along the breathtaking coastline. 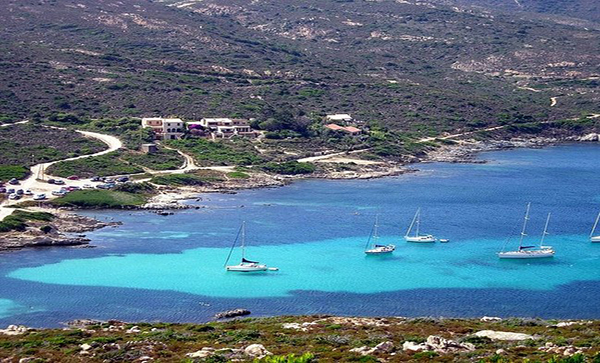 To the northeast of Sardinia lies Costa Smeralda, one of the most popular destinations to cruise in the Mediterranean and a particular favorite for bona fide charterers and sailing enthusiasts. The Costa Smeralda, was originally created to accommodate the aristocratic classes and celebrity set, more or less exclusively. With warm constant winds and calm clear waters, sailors will revel in the romance of Sardinia’s waters whilst gazing upon the awe-inspiring surrounding views. And so did Aga Khan a stately pleasure dome decree. Decades later, the Costa Smeralda remains Italy’s flashiest summer getaway. Driving to the Polo Gold Cup or Porsche Parade, you might cross paths with the Russian oligarch Roman Abramovich or the Italian political and media titan Silvio Berlusconi, both of whom own estates nearby. At the heart of Costa Smeralda, meander around the seaside resort of Porto Cervo, where the shores are draped with designer boutiques and glamorous restaurants. Sardinia is also famed for what some regard to be the finest lobster in the world. For those looking to delve into the underwater world to discover the thriving aquatic life beneath the waves, visit the astounding archipelago of Maddalena. This cluster of 60 islands and islets offers some of the very best snorkelling and diving opportunities for those keen to immerse themselves into water sport adventures. Porto Pollo is an excellent location for kite and windsurfing and with wild reefs and consistent winds, experienced surfers can let loose and enjoy the throes of exhilaration on the water whilst non-surfers can soak up the sun on some of the most beautiful beaches in the world. 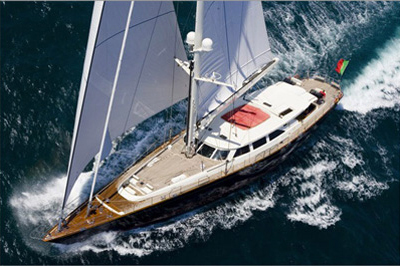 Select a Maximum of 5 names of yachts and us for more details.